Air Conditioning.,Mystery Blue Bluetooth Air Conditioning USB Port Aux Port Isofix Fittings Remote Central Locking. You can call us until 9pm Monday to Friday. 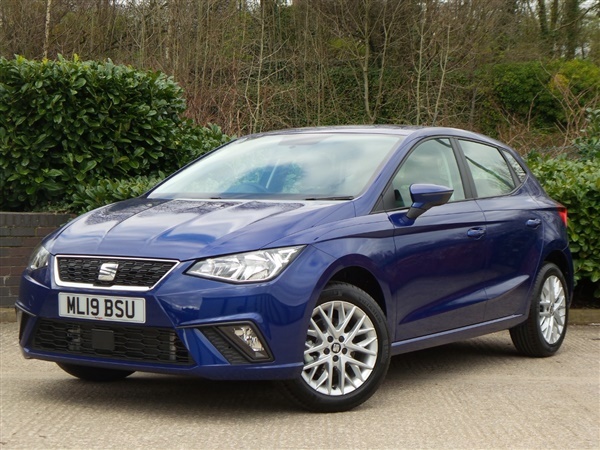 This Seat Ibiza registration number ML19BSU was first registered on 21st March 2019. Finished in mystery blue it has a 93.9 BHP DIESEL engine with a manual gearbox. The CO2 emissions for this vehicle are 0g/km and you should expect to achieve around 57.7 miles per gallon during normal driving . A MINIMUM 12 MONTH COMPREHENSIVE WARRANTY IS ALSO INCLUDED ON OUR CARS Pentagon ?Too Good To Trade? cars and commercial vehicles are covered by a different package please visit our website for details.Like this Ibiza? Call to arrange a test drive reserve it or visit us at Pentagon Oldham - Park Road Park Road Oldham Lancashire OL8 1DB. We love Part Exchange vehicles! Please call us for a valuation or visit our website. We can also deliver nationwide. Ask us about our delivery service when you call. Choose a dealer you can trust - 9/10 Pentagon customers would recommend us. You can read 1000s of customer reviews on our website.